Tangled and True: nursery inspiration. 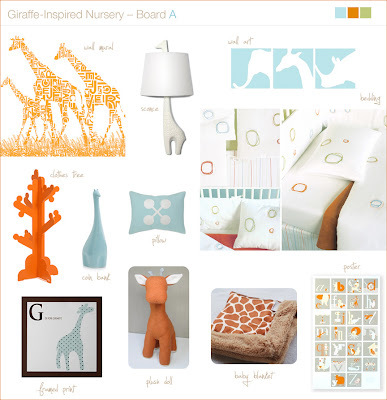 I just saw this style board on the hostess blog, and realized I may have done Finn's nursery all wrong. Ack! I love turquoise and orange! That's my plan for a nursery....add some hot pink if it's a girl and some green or burgundy and brown for a boy....awesome!